Kidney stones affect millions of American men and women. When a kidney stone is in the ureter, the tube between the kidney and the bladder, and blocks the flow of urine, this causes severe pain on the affected side. The stone causes spasm of the ureter and causes more pain and retards the passage of the stone out of the urinary tract. This pain and discomfort is relieved with pain medication but the spasm of the muscles in the ureter can be relaxed with the use of alpha-blocker medications such as Cardura, Hytrin, Flomax, and Uroxatrol. 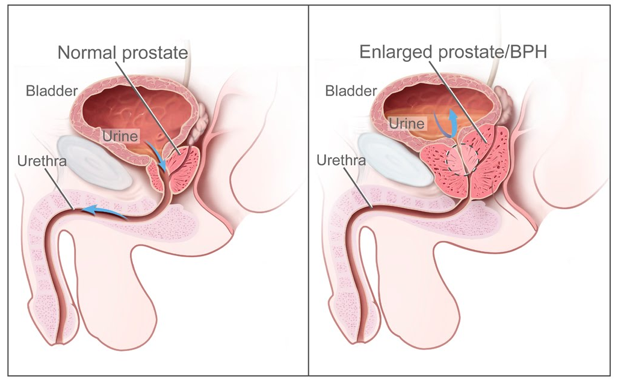 These drugs are used to treat a non-cancerous prostate condition known as benign prostatic hyperplasia (BPH). The drugs work by relaxing the smooth muscle in a channel that runs through the prostate gland, allowing for better urine flow. Kidney stones are formations of crystals that have separated from the urine. The separation occurs within the urinary tract if the patient’s urine is lacking in the chemicals that normally prevent their formation. Most will pass through the tract without notice. The crystals that do not separate form into larger stones, which may be difficult to pass. Alpha-blockers can assist in passing stones because when it relaxes the smooth muscle, water can pass through more easily. This may reduce the pain of passing kidney stones, and speed up their exit from the body. Alpha-blockers must be obtained with a prescription. You are currently browsing the archives for the alpha-blockers category.